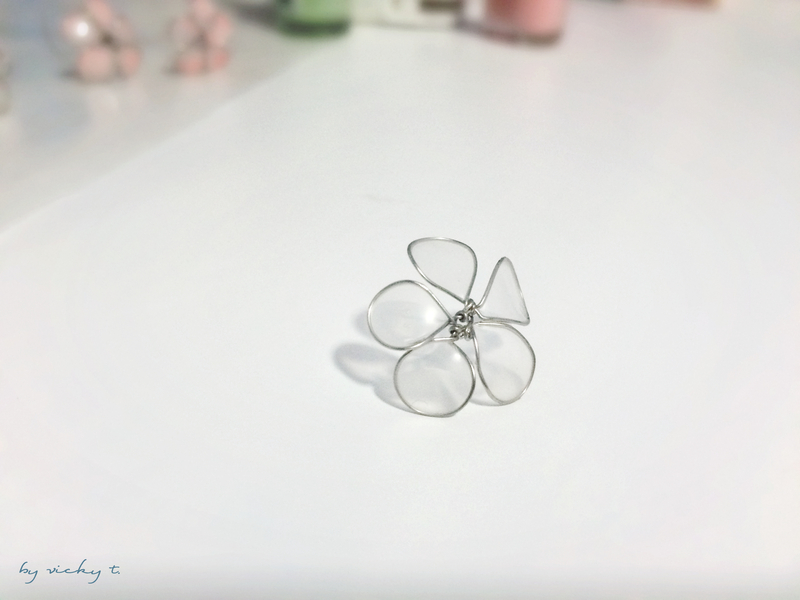 This weekend I saw a blog post about a wire flower crown made using wire and nail polish. 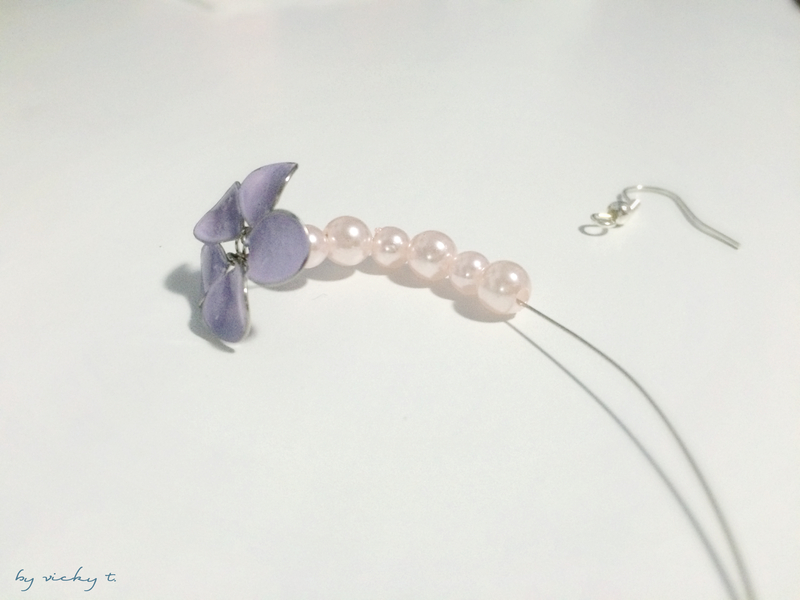 I did some research by watching videos on youtube on how to make these wire flowers (here and here). 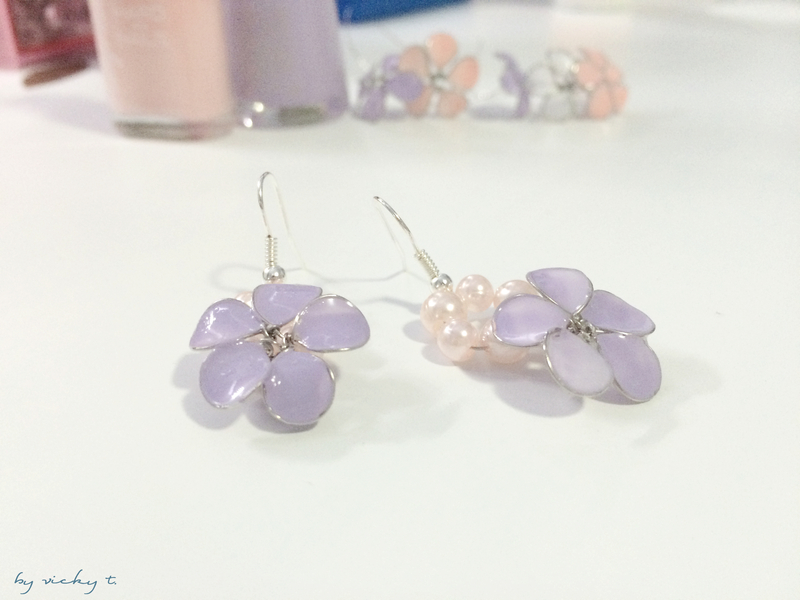 I tried it out and made earrings instead of a flower crown. 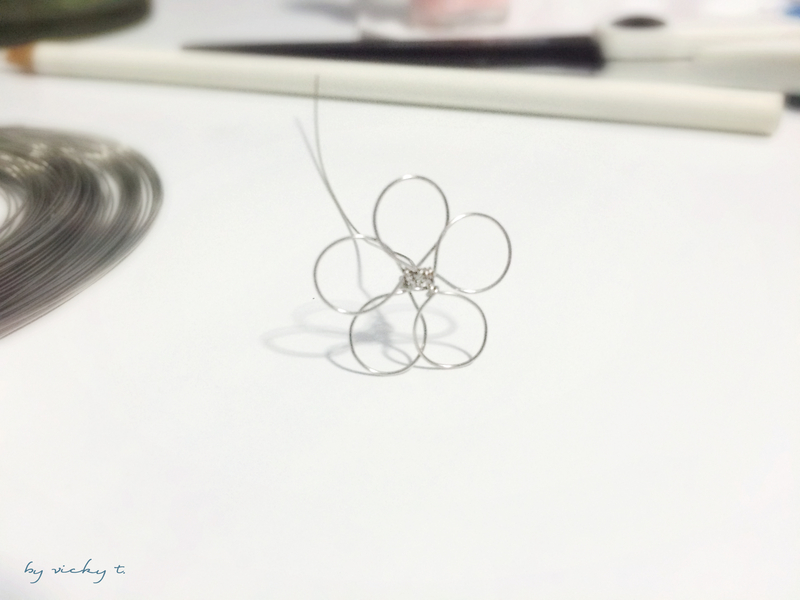 Just like the blog post I read, I started with a piece of wire and bended the petals around a pencil. Unlike in the videos though, I found it much easier to twist one petal at a time around the pencil. Once I had enough petals, I proceeded with creating a glue layer on the petal for easier nail polish application (the videos were very helpful with this part versus the blog post). The glue turns clear after it dries and then I painted it with nail polish. I used Revlon’s 211 Charming to get this color. 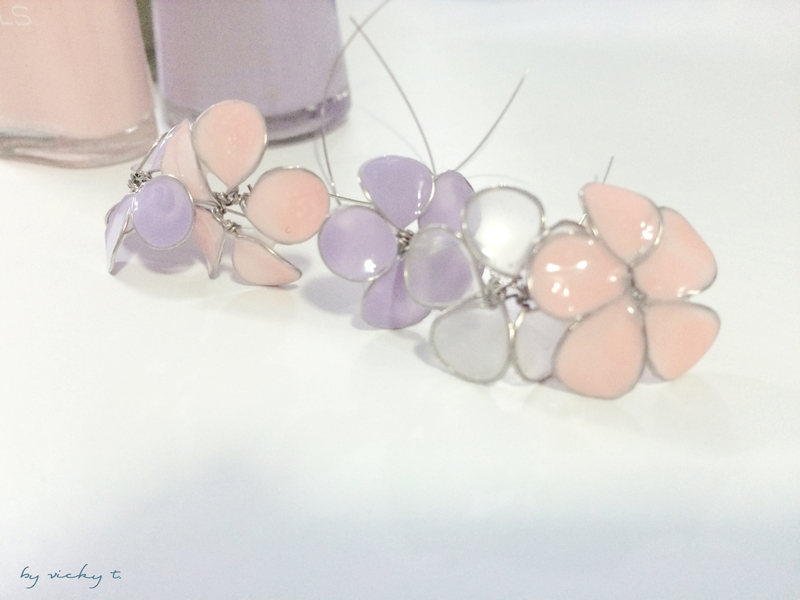 After the nail polish dried, I placed 6 pink beads in a repeated one large- one small pattern through the “stem”. 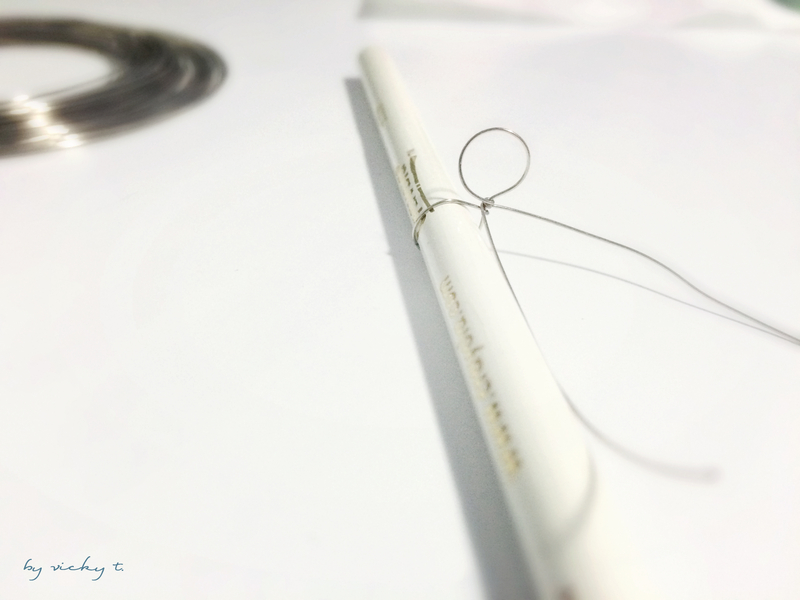 Then looped it into a circle, secured, and cut off the excess wire. 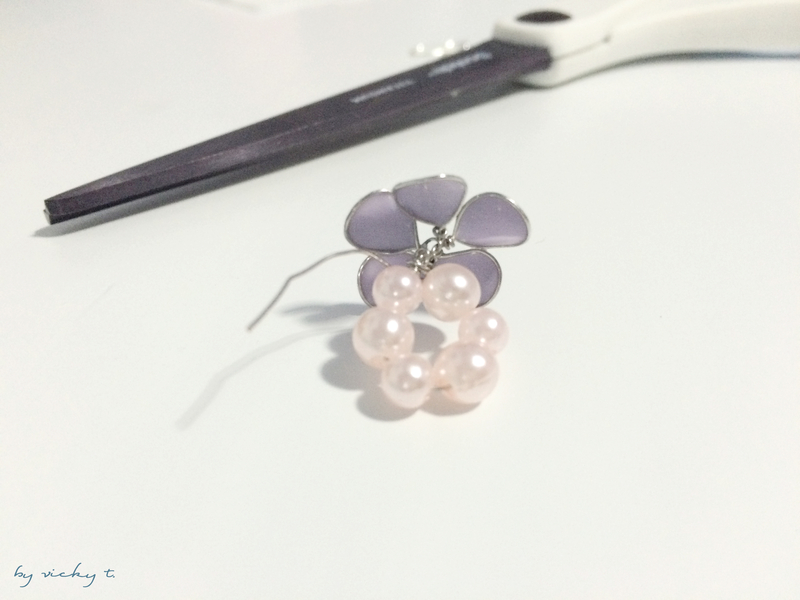 All that is left is to flatten the flower against the circle of beads, and secure the earring hooks. But, of course, I also had to repeat this and create another one for the other ear. I never had too much experience with wires but this was a lot simpler than I had imagined. The flowers actually turned out a lot better looking than I had thought. I ended up making a few more but I don’t have any idea what to do with them yet. It’s back to work for me tomorrow but maybe I’ll give the flower crown a try too when I get back. Cool! I’ll have to try this, looks beautiful! Ahhh, how gorgeous! I love them! 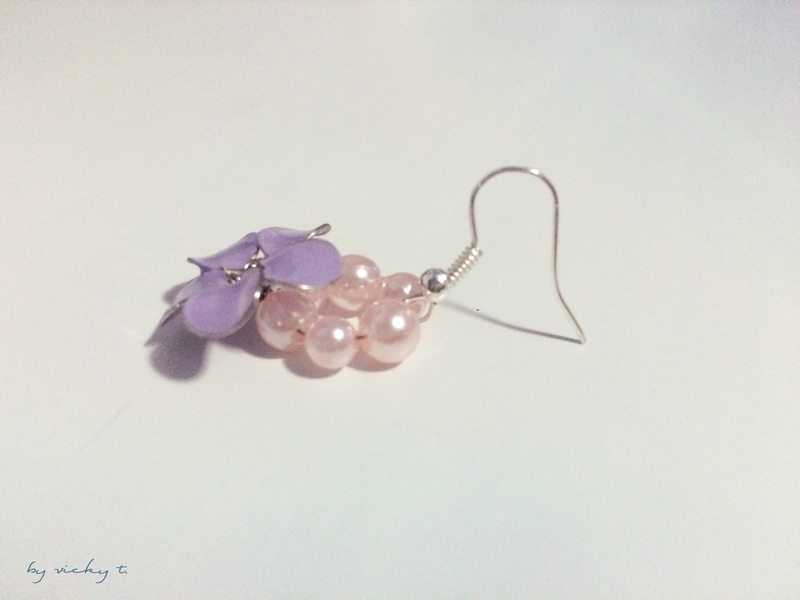 Such sweet earrings! 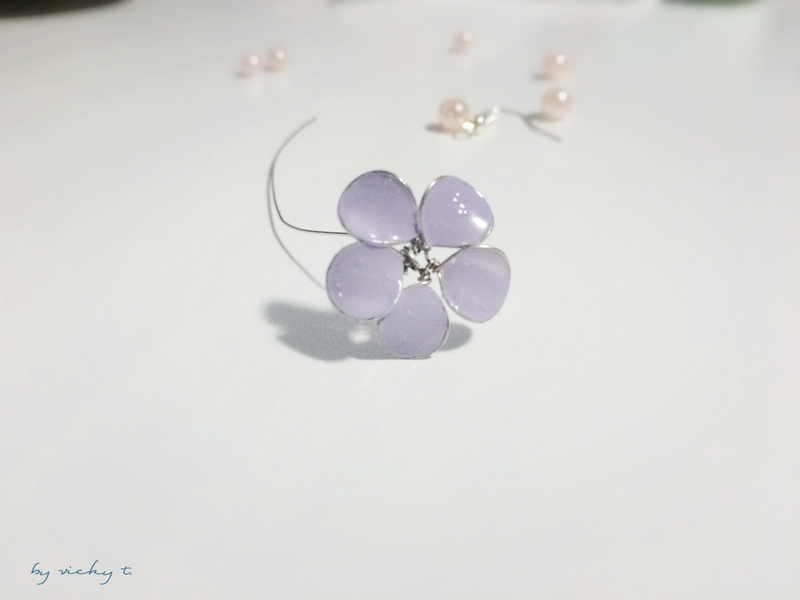 I never thought that glue and nail polish could form such a pretty petal! Thank you. I didn’t either but it worked out really well.